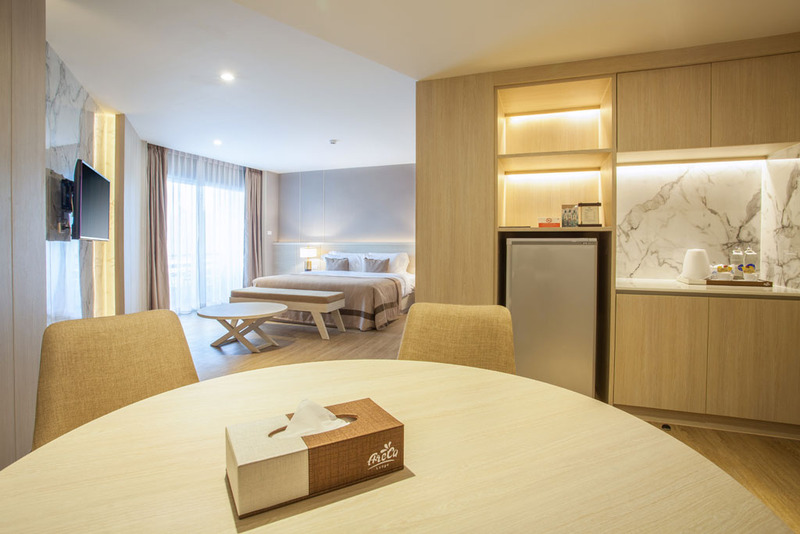 Great customer service, beautiful surroundings, standard rooms and delicious food are some of the highlighting features of Areca Lodge Pattaya. 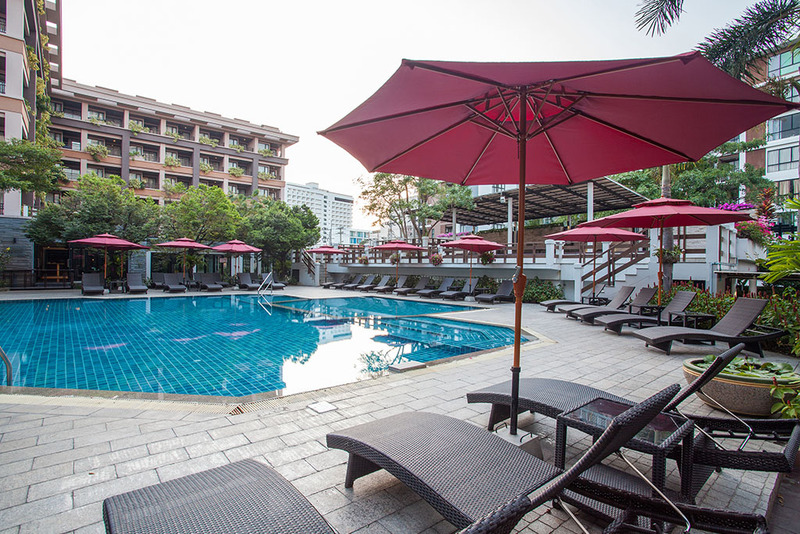 The enchanting pool is the best place to unwind after you have tested your skills at the nearby golf club. The 3-star property is located at a vibrant location with several beaches, bars, restaurants and markets in close proximity. 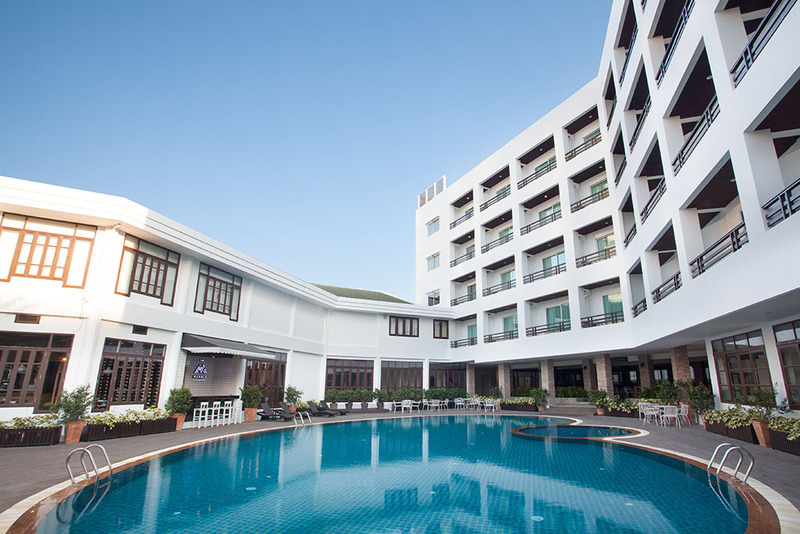 The Areca Lodge Pattaya is a modern, 3 wing hotel that has a beautiful tropical garden around it, and is rated 3 stars. 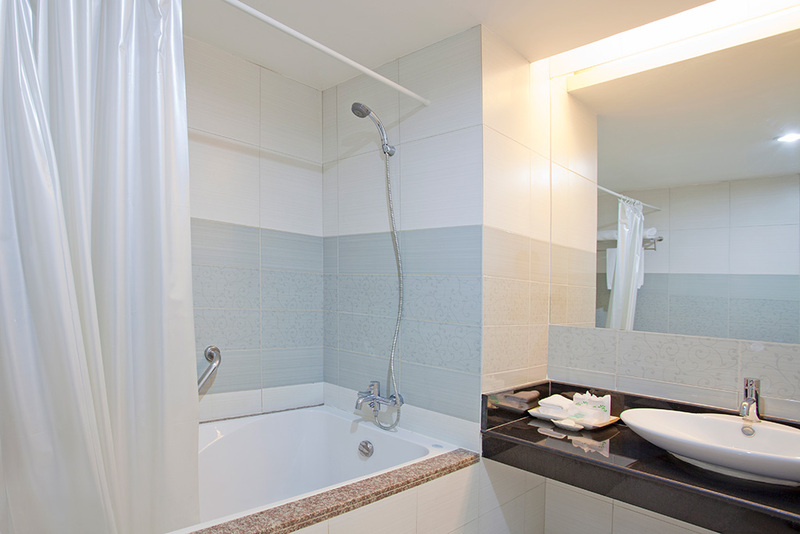 It is only six minutes from the beach and this makes it a very convenient place to stay. 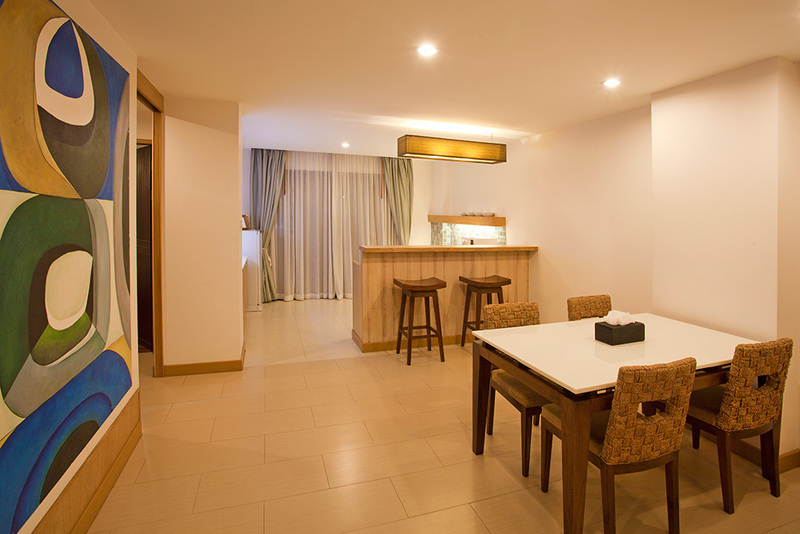 The hotel is frequented by families on a budget, couples and business travelers too! 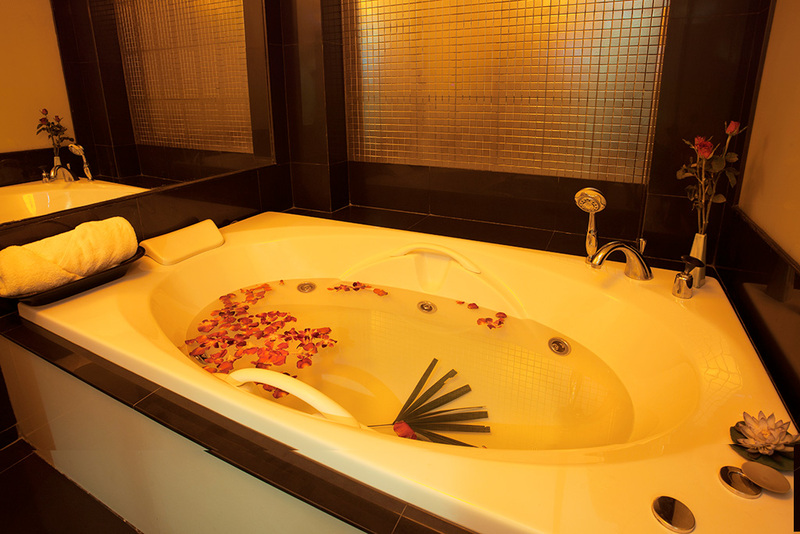 There are two large outdoor swimming pools and built-in Jacuzzi on the premises. 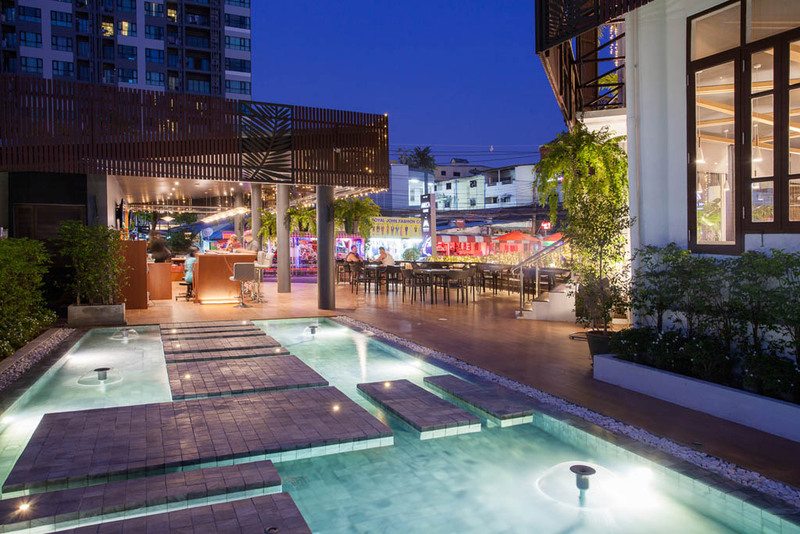 Famous spots like Walking Street and the Royal Garden Plaza are within a kilometer of the property. It is in a central part of Pattaya. There are 216 rooms within the three buildings called Areca, Corona and Evergreen Towers. 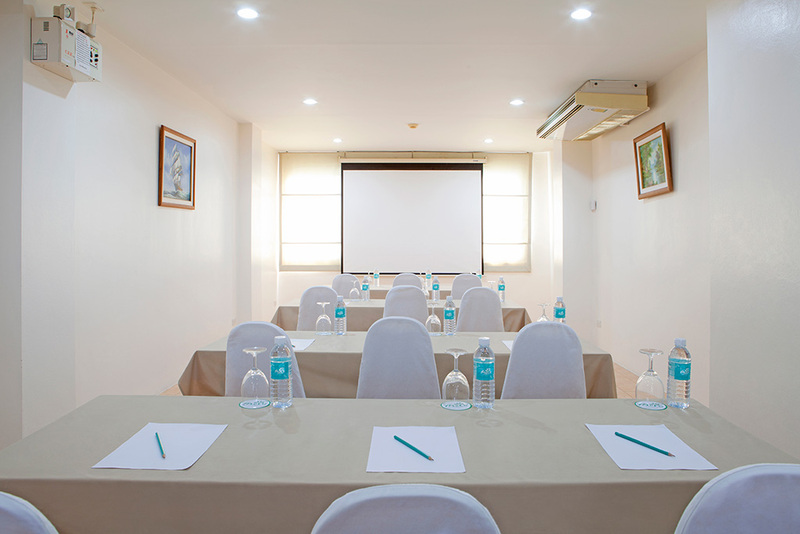 Free parking and WiFi is provided to all guests who stay at the Areca Lodge Pattaya. 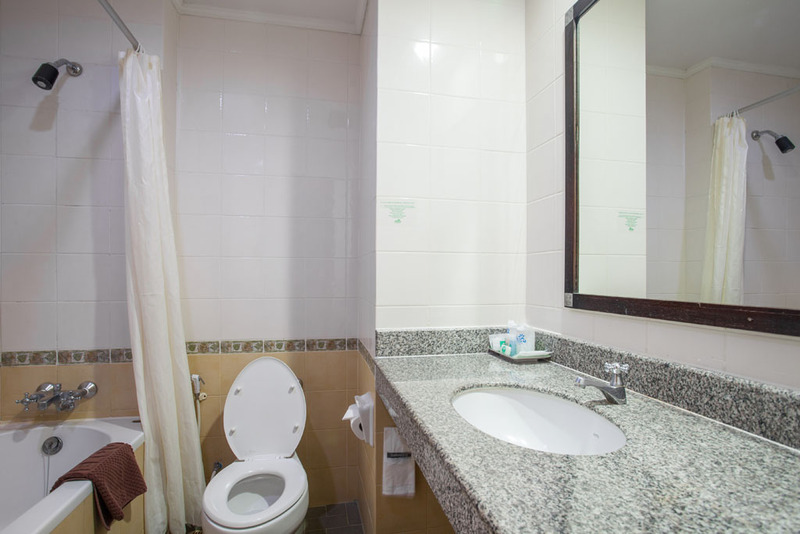 The rooms are tastefully done with all the modern amenities with an attached bathroom. 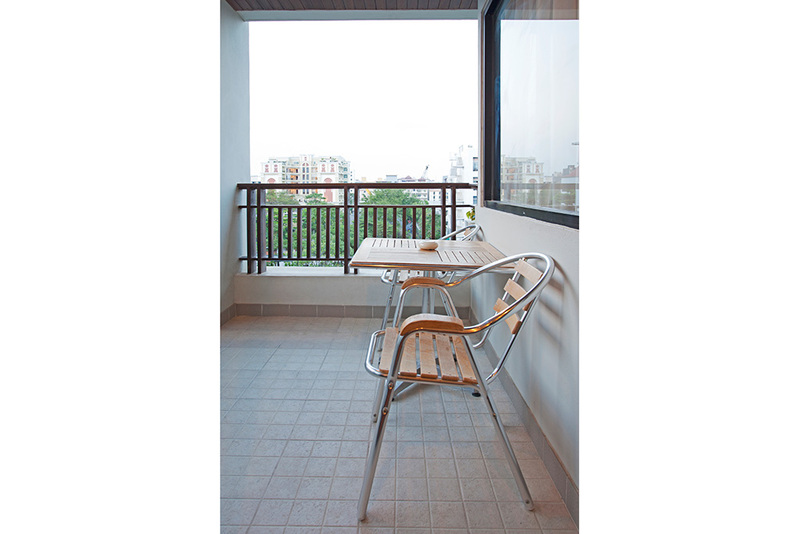 Every room at the Areca Lodge Pattaya has a private balcony for guests to enjoy the good breeze in the city. 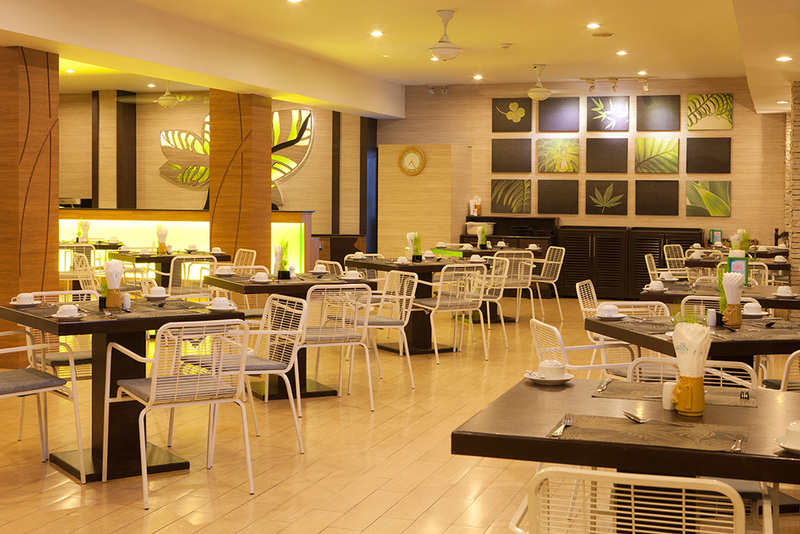 There are two restaurants here that cater to Thai and international dishes alike. 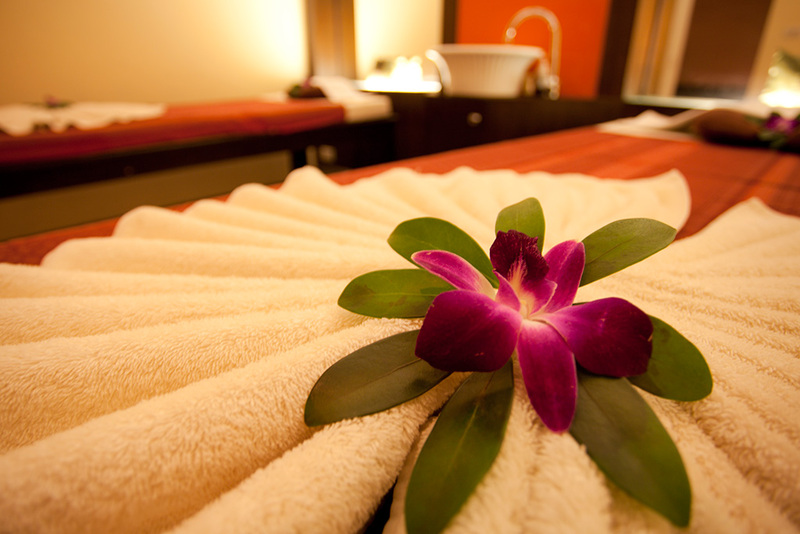 Every room has a king-sized bed, complimentary tea and coffee arrangements and a private balcony. 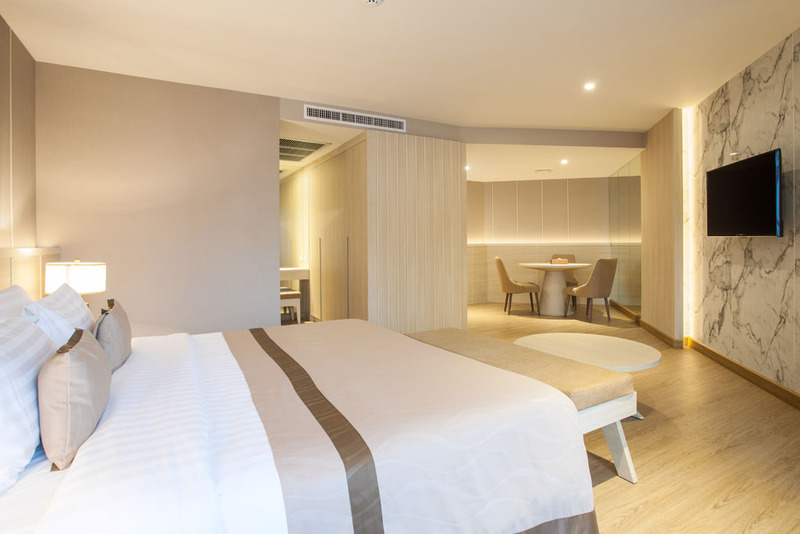 From the Deluxe room onwards, the rooms face the pool. 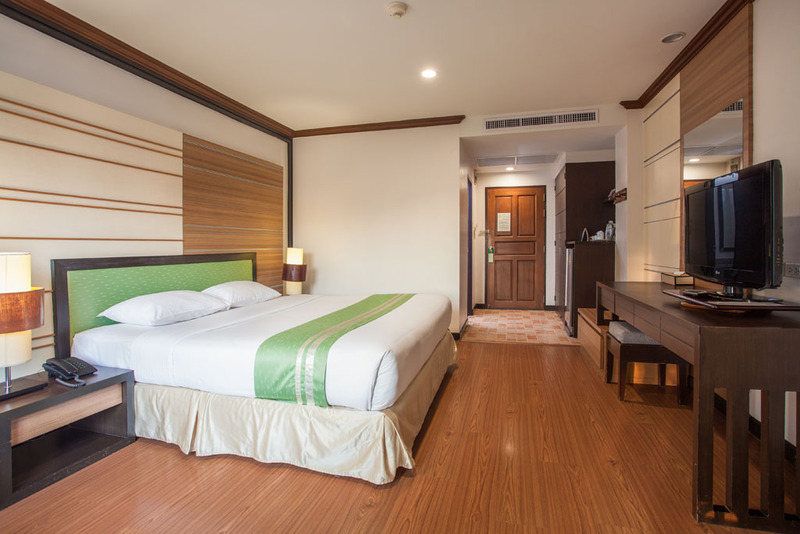 The Patio Suite has two master bedrooms, one with a king-sized bed and the other with a queen. It is spacious with a big sitting room and outside terrace. 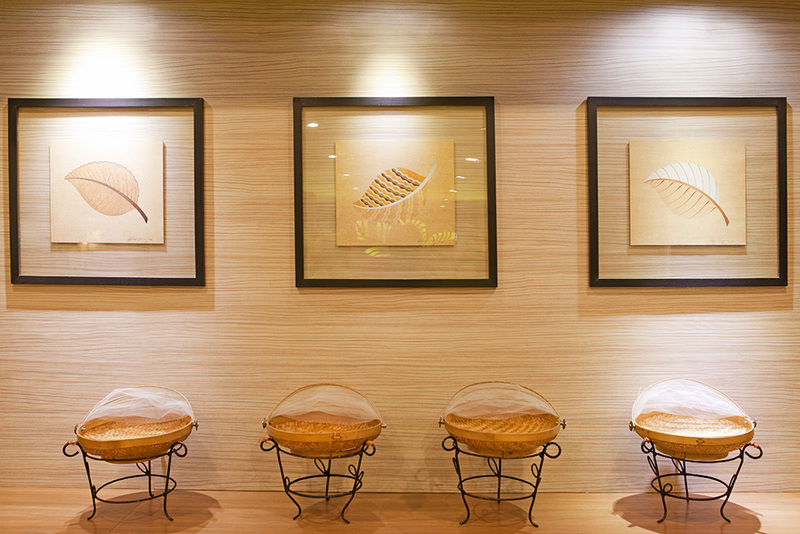 Each room is designed with a modern theme in mind. 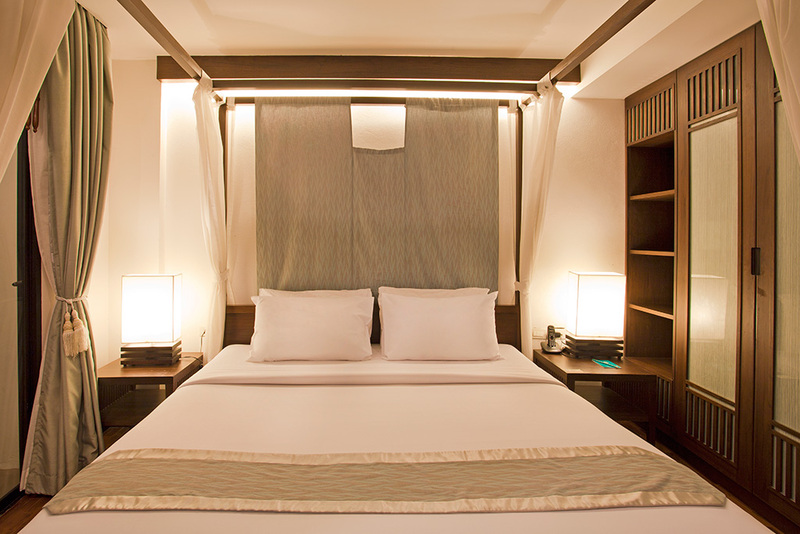 The Superior rooms have special Japanese styled beds. 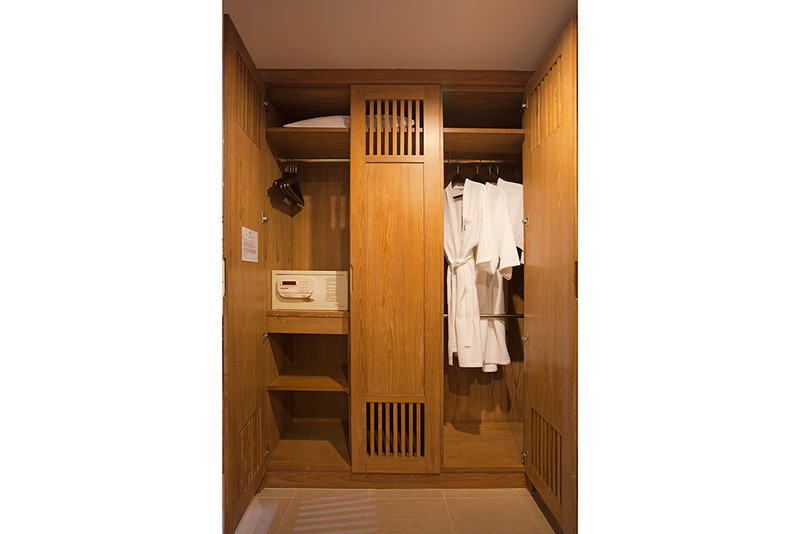 The sizes of the room range from 32 to 40 square feet. The Luxury room is 60 square feet whereas the Patio Suite is 120 square feet. 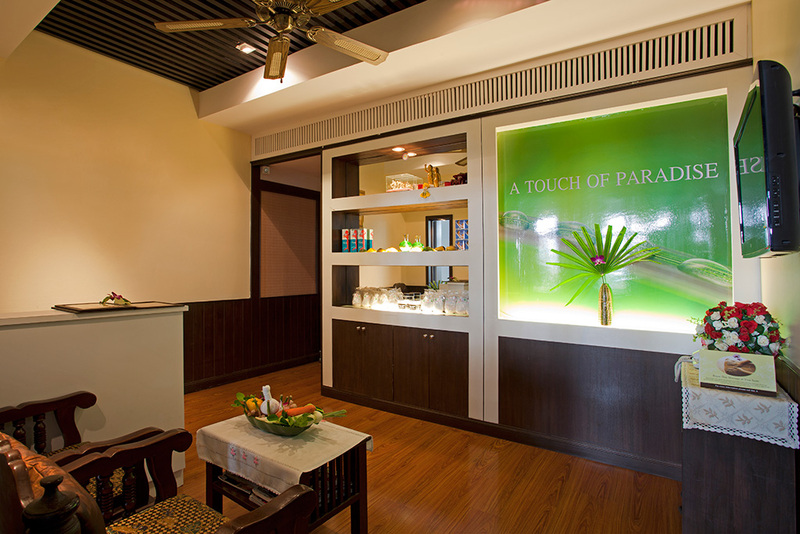 Guests staying at the Areca Lodge Pattaya have many activities to choose from within and outside the hotel. 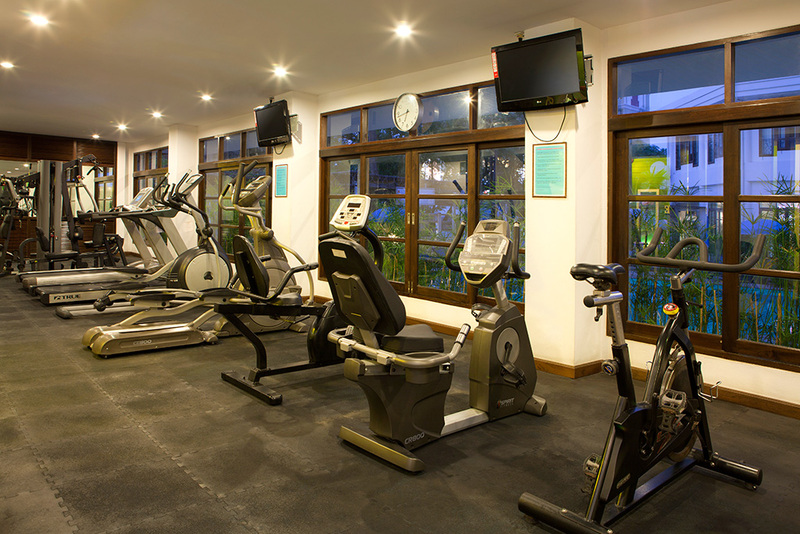 There is a Fitness Centre which has a state-of-the-art gymnasium and is open from 8 AM till 8 PM. 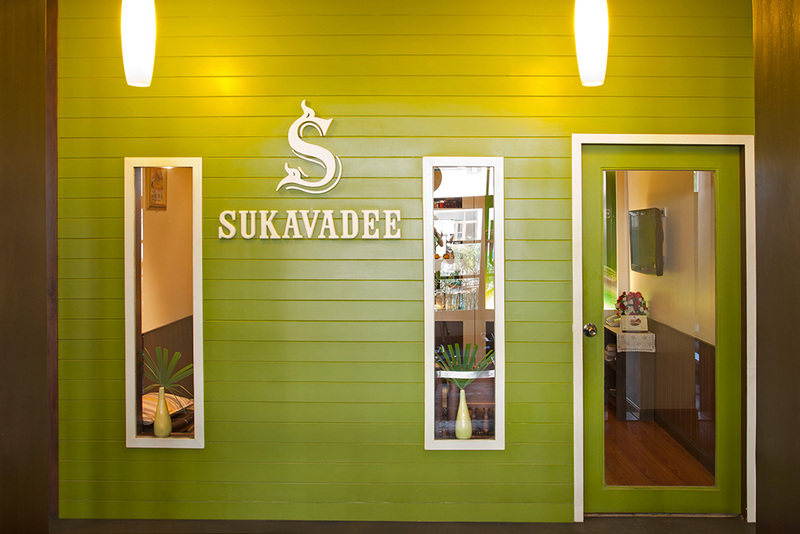 The Sukavadee Spa offers an exclusive 15% discount for ACE Club members and is open from 9 AM till 12 PM. 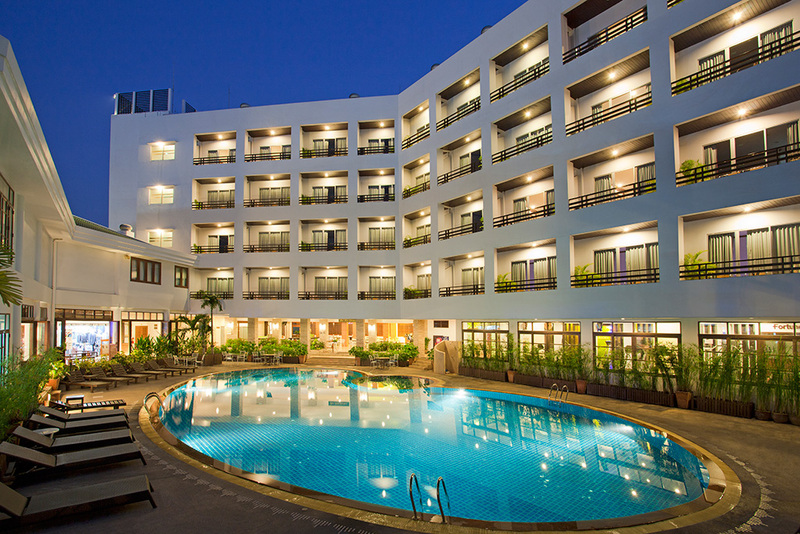 The most attractive feature of the Areca Lodge, however, are the two massive sized swimming pools. The Blue Ocean pool is open from 10AM till 7 PM. The Cabana pool opens at 10 am till 8 pm. 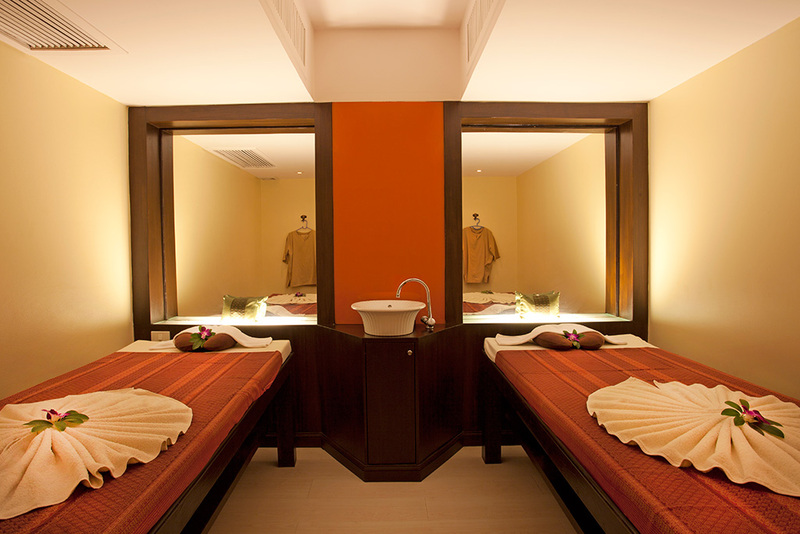 There is also a beauty salon within the property. 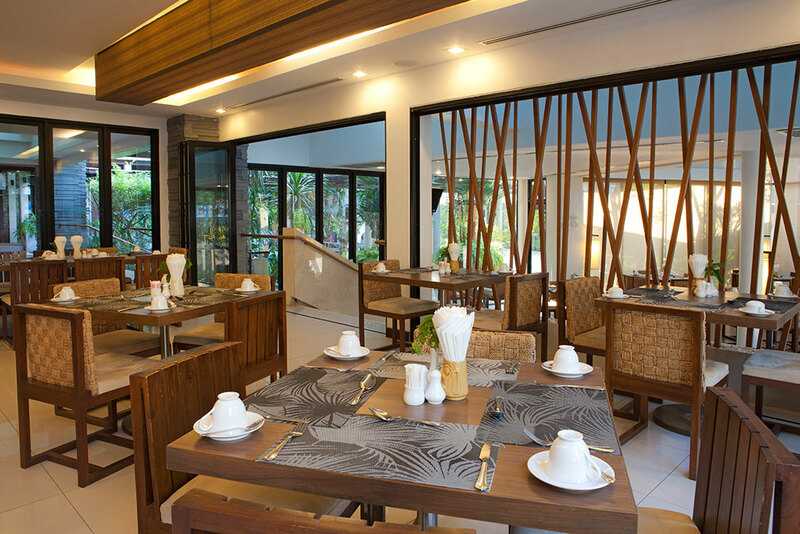 The all-day dining specialty restaurant called Bai-Mai Kitchen serves Thai and Western cuisine. 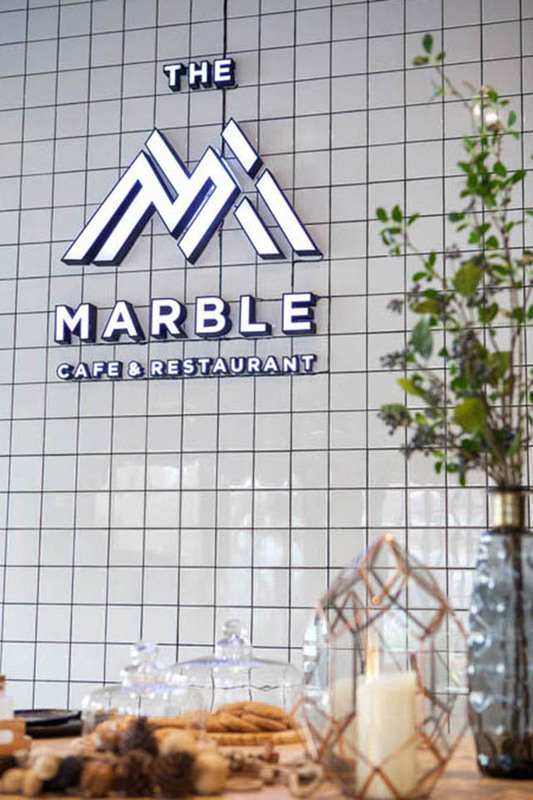 The April Room is their signature restaurant. 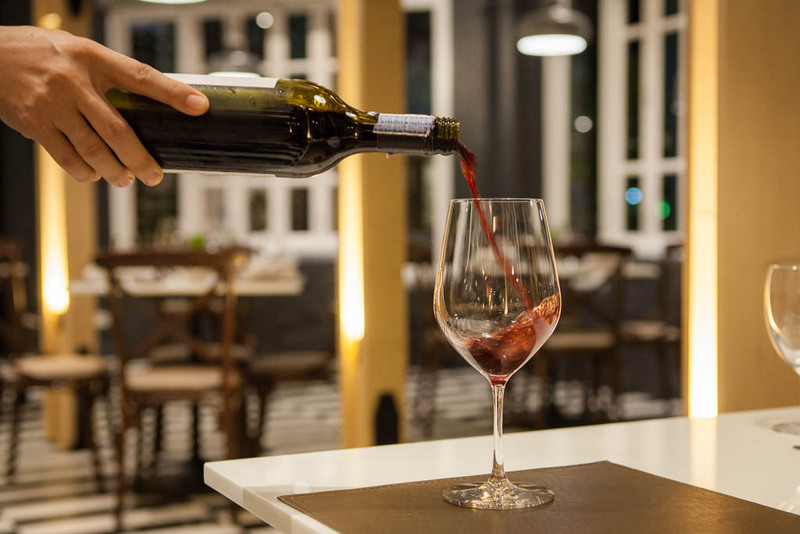 It offers Western specialties as well as local dishes. Cafe de Blanc is a quaint cafe that serves as an internet station as well. Here, Thai and Western food is served along with coffee and other beverages. Last but not least, there are two bars here as well. 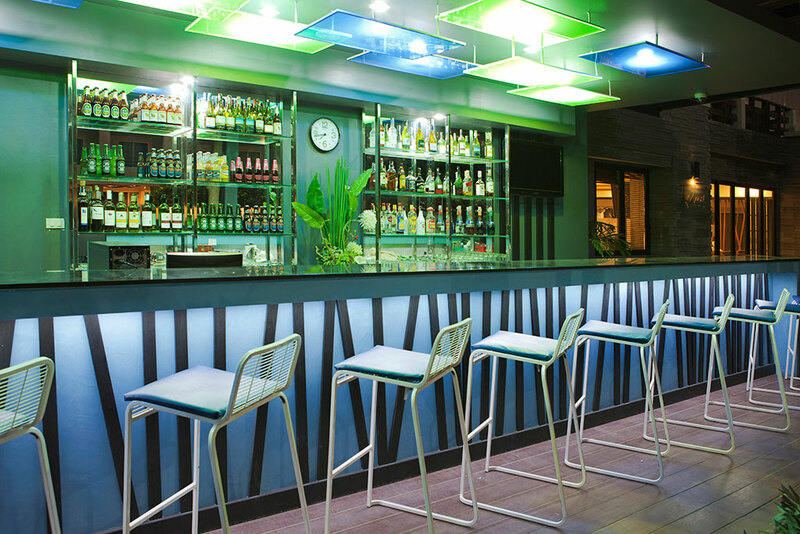 The Blue Ocean Bar is a fun bar located at the Blue Ocean pool. 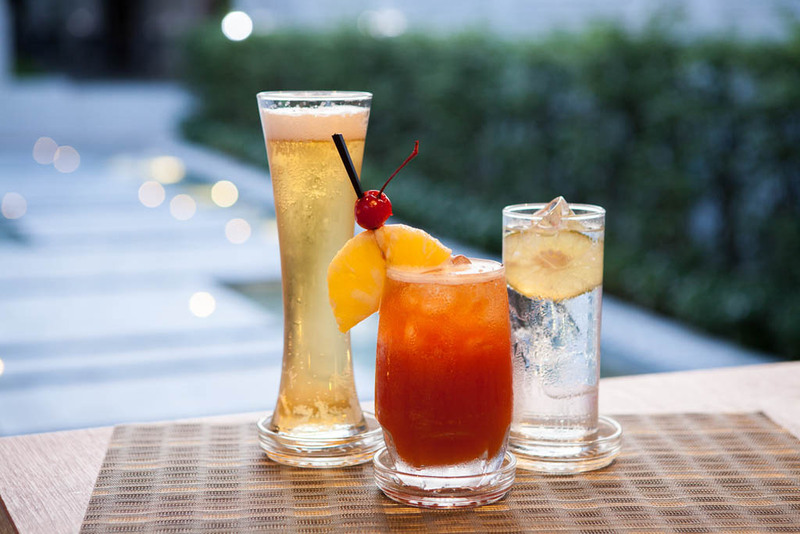 One can order bar snacks, Thai or Western food. 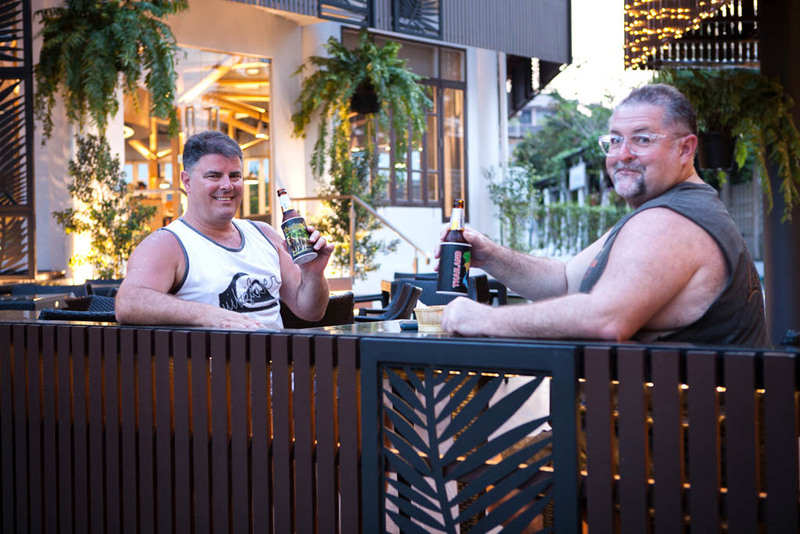 The second bar is known as the Beer Court & Beer Garden. It is very lively and a great place to start the evening off. 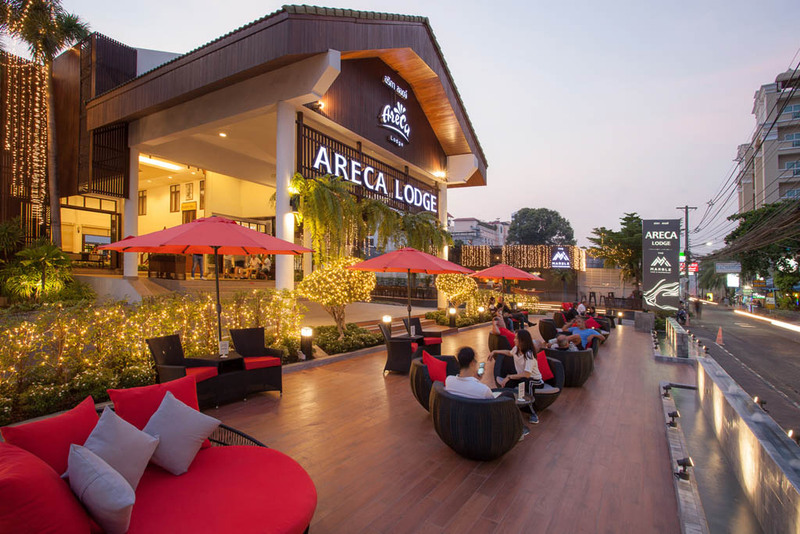 All the restaurants and bars on the Areca Lodge Hotel Pattaya offer a 15% discount to all ACE Club members on food. 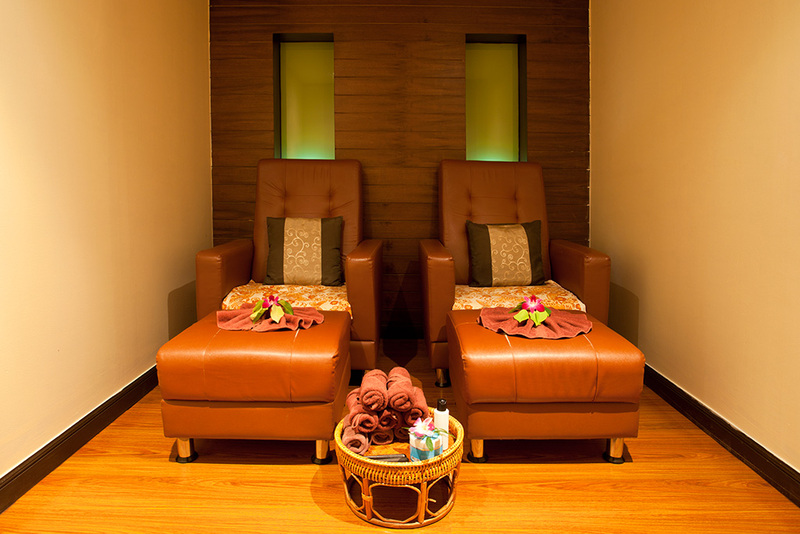 There is so much going on within the property that one can spend days here relaxing without ever needing to go out. 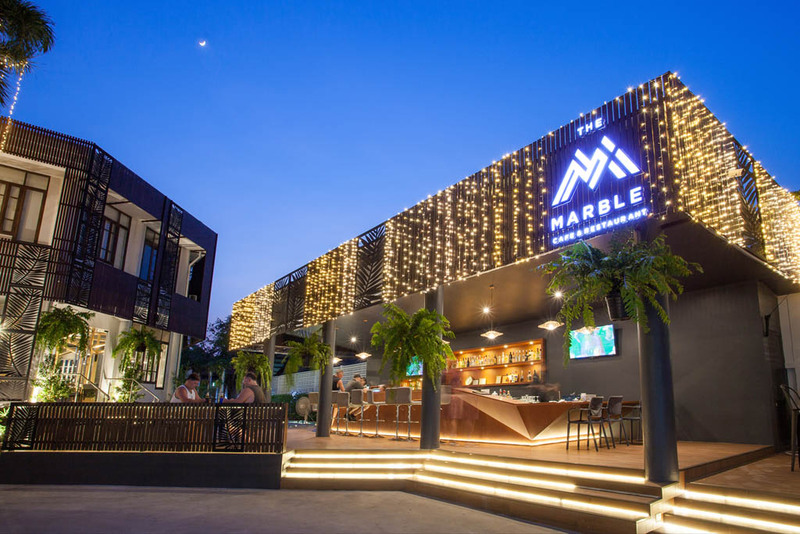 If one does choose to head out, the options that are walking distance from the Areca Lodge Pattaya Thailand are numerous, from restaurants to shopping, sightseeing and so much more! The Areca Lodge has 2 swimming pools. Yes. 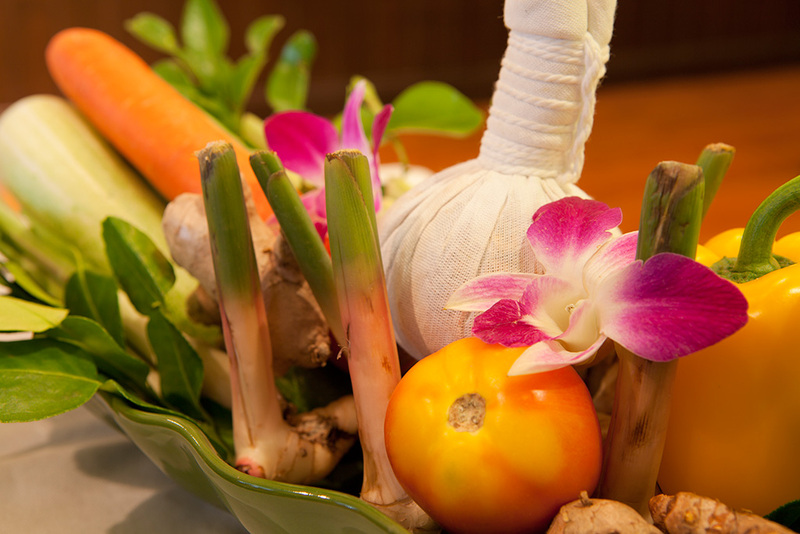 The Areca Lodge Hotel Thailand has a Sukavadee Spa. What time is the Fitness Centre open till in the hotel? The Fitness Centre is open till 8 pm every day. What are the eating options here? 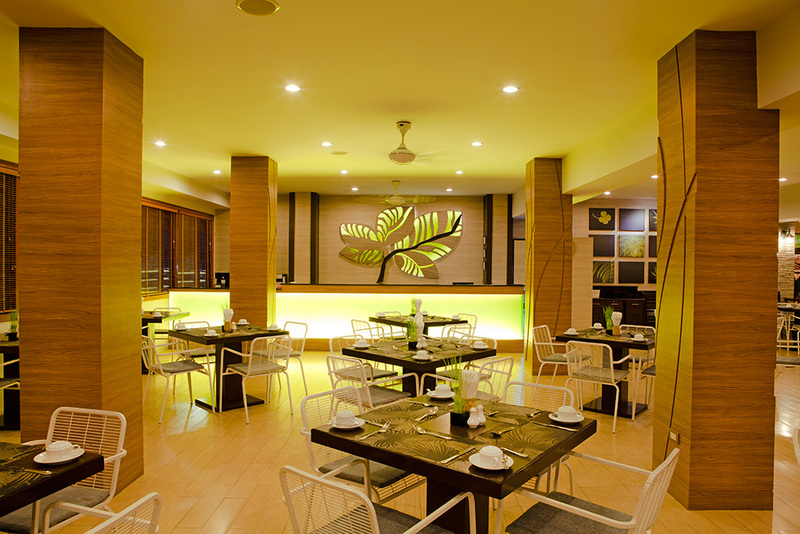 There are 2 main restaurants and 3 bars to choose from to eat at the hotel. How far in the hotel from the Airport? 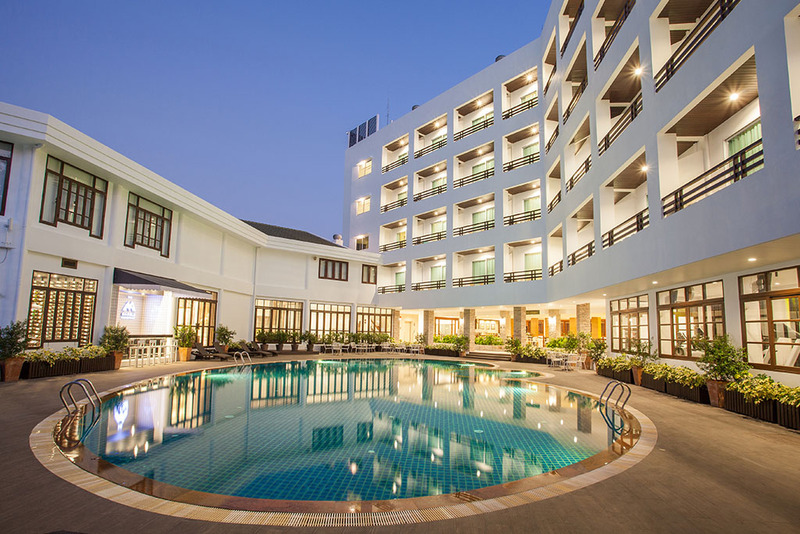 The hotel is 30.9 km from U-Tapao Rayong-Pattaya International Airport. 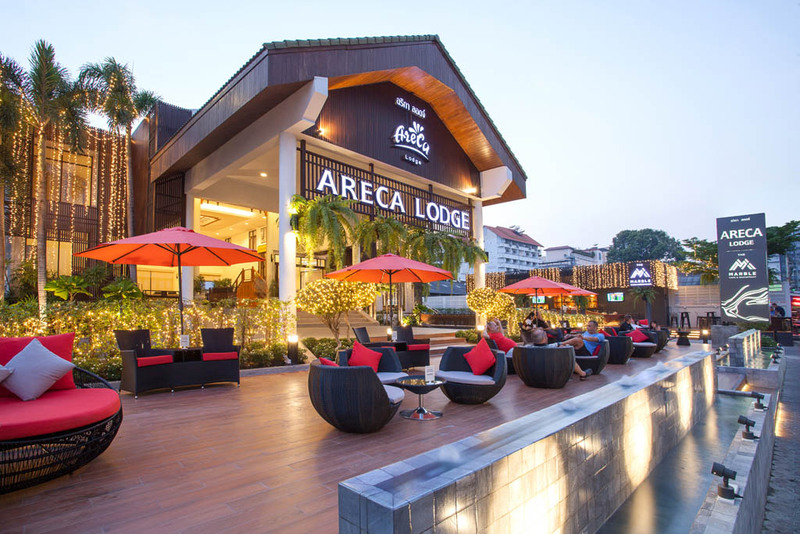 The Areca Lodge Hotel Pattaya Thailand offers a lot of entertainment options to its guests. Especially those who are on a business trip. 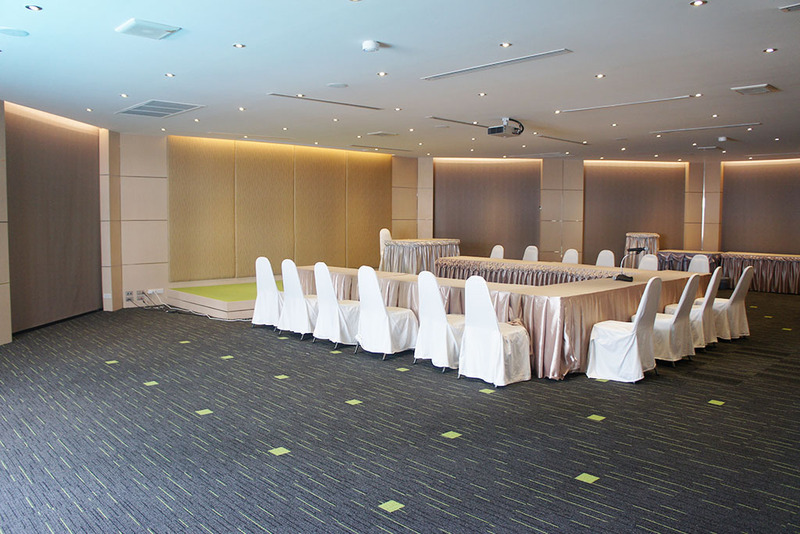 There are two meeting halls for conference purposes. 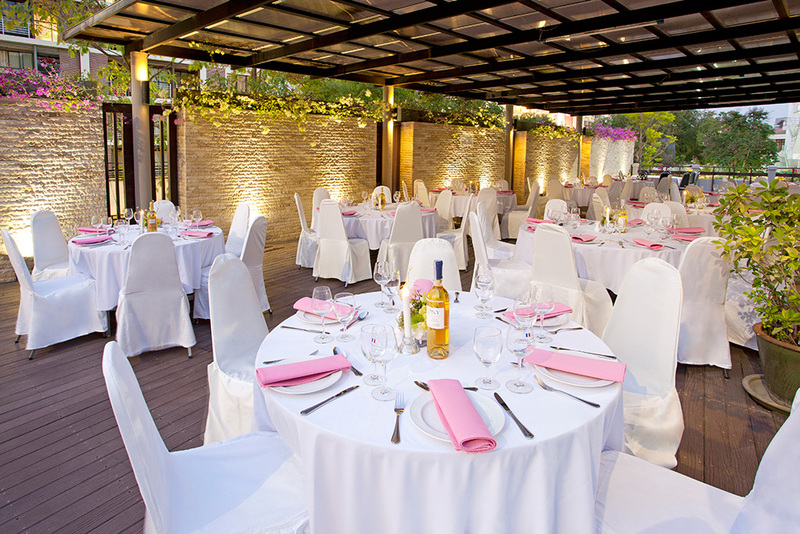 Depending on the size of the event, a room best suited is allotted. 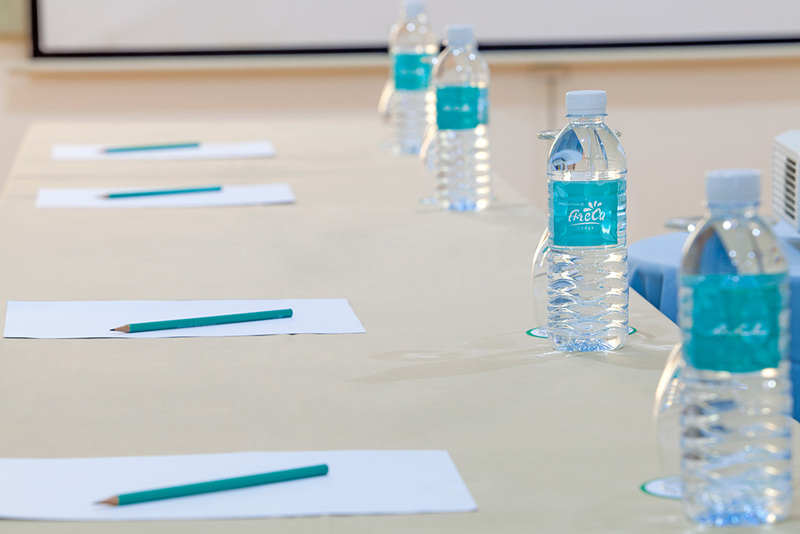 A chargeable airport pickup service means all the guests attending the meeting can be brought straight to the venue. 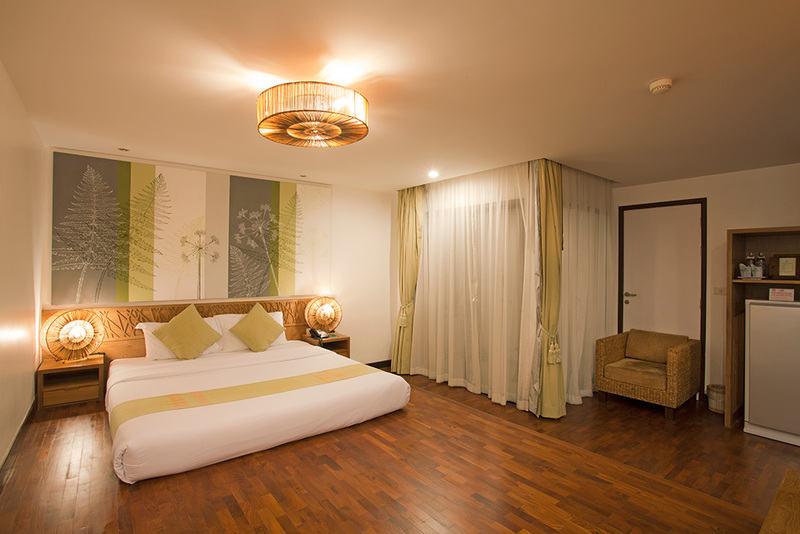 There are constant promotions to watch out for and book in advance to get good deals on the rooms. 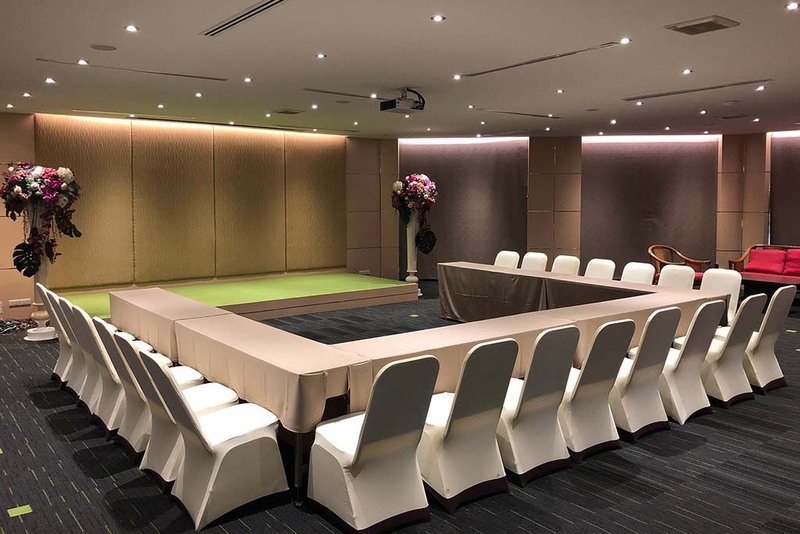 The Pattaya Elephant Village, Pattaya Floating Market, Nong Nooch Botanical Garden, and Pattaya Beaches are the main attractions around the property. 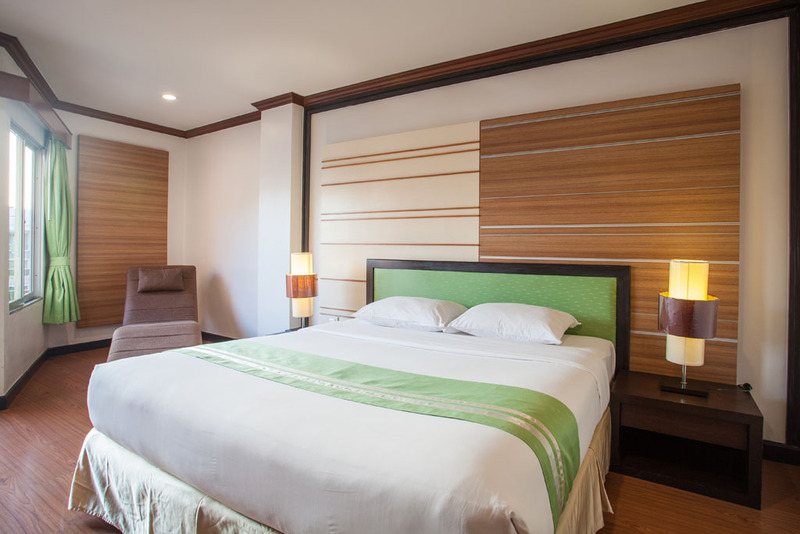 ACE Club members prefer this hotel because of their generous discounts of offers throughout the year. By staying at the property once, one can become a lifetime member and for a nominal fee, get access to many services offered.